We all need a little energy boost from time to time, and when we do, it’s certainly convenient to reach for some coffee, a soda or a sugary snack. And while there’s nothing wrong with having a little morning or afternoon pick-me-up, if you rely on these energy crutches to get through the day, your natural vitality may be suffering. Luckily, healthy people needn’t abstain from caffeine and sugar entirely. We just need to learn how to use, not abuse, them. We certainly like a jolt. In fact, it’s estimated that Americans drink around 400 million cups of coffee a day, and each consumes approximately 3 pounds of sugar a week. Relying on stimulants to rev up energy instead of healthy food and adequate sleep isn’t great for your body over time. Drinking a lot of coffee and soda may also get in the way of drinking enough pure water; and depending how you doctor up your caffeinated beverage, such drinks can add a lot of calories and sugar to your diet. However, there are some benefits to these energy boosters. A little caffeine can help increase your energy for a run or enhance concentration before a test or presentation, while sweet treats are some of the great pleasures of life. As long as you can enjoy all these in moderation and utilize their benefits without falling into dependency, you’re fine. The trick is not to reach for stimulants every time you need a boost. Instead, make smarter food and drink choices. If you crave sugary foods, you might not be getting enough of something else, possibly protein. Try beginning your day with a high-protein breakfast that can set your blood sugar on an even keel. Then, as the day goes on, choose slow-burning meals and snacks that combine complex carbohydrates, protein and healthy fats, like a turkey sandwich on whole-grain bread or a salad topped with salmon. Eat at regular intervals throughout the day and don’t skip any meals. This will keep blood sugar and mood steady and maintain your energy. If you are fading in the afternoon, drink one or two glasses of water. Most people are dehydrated, and just replenishing fluids can often wake you up. If you crave something sweet, avoid the vending machine and choose a healthier alternative, such as a few raw dates filled with almonds, a small low-fat yogurt or some fresh fruit. They’ll deliver the boost you need, but without the impending crash. 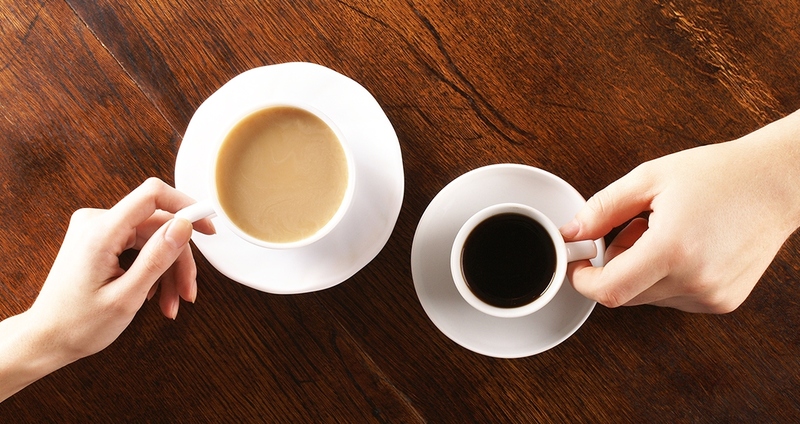 If coffee is your weakness, try to reduce your number of daily cups to three. Gradually reduce this number to two and then weave in a noncaffeinated (or lower-caffeine) beverage for the second cup. Black tea generally has around one-third less caffeine than coffee, while green tea has about 90 percent less caffeine. This way your body can adjust to less caffeine without enduring withdrawal symptoms. As long as you are healthy, eating a well-balanced diet and getting enough rest, it’s unlikely that occasional use of caffeine and sugar is going to do you much harm. And once you get to that point, caffeine and sugar can return to their original roles—as two of life’s simple pleasures.